THE MEDITERRANEAN PORT CITY OF TORREVIEJA is amidst the throes of a month-long festive carnival that promises to deliver an added splash of colour to the already vibrant beachfront locale. The annual traditional event signifies the arrival of an early springtime, bringing energy and vitality to the city after a thankfully short and temperate winter. 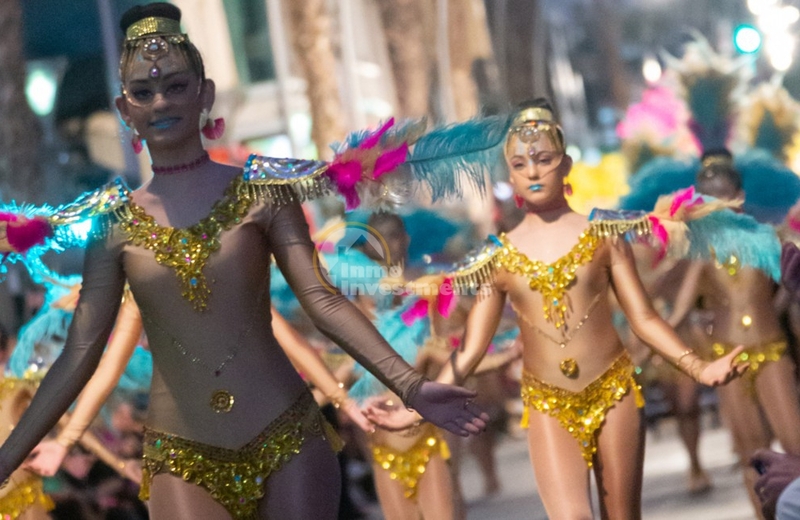 Torrevieja's street parades take inspiration from the traditional Brazilian festivals such as the world-renowned Rio de Janeiro Carnival that takes place next month. 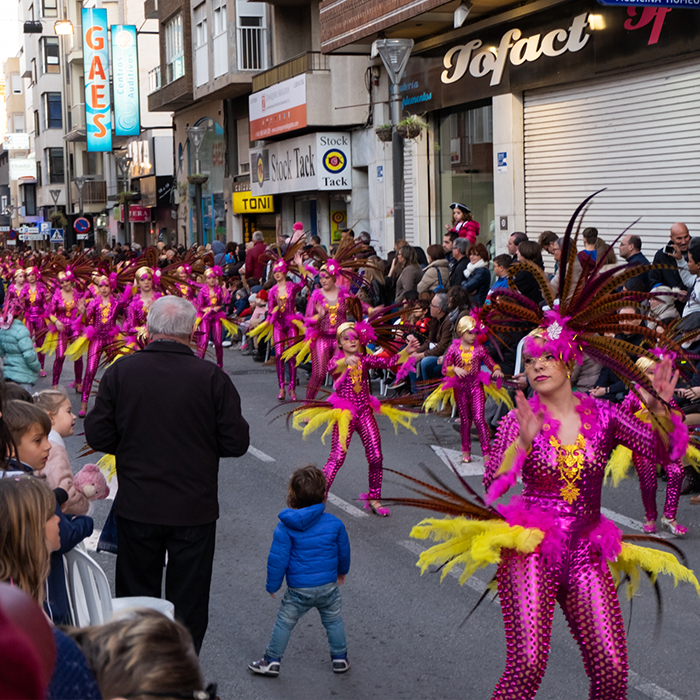 However, unlike Rio´s celebrations that last just five days, the Costa Blanca city will keep the party spirit rolling for a full month, with the event culminating on Sunday 3rd March. The Torrevieja Carnival has a colourful history and the city has held an annual parade for nearly 40 years. Unashamedly flamboyant in nature, the energetic and carefully choreographed street routines will see more than 2,000 dancers of all ages fill the cities narrow avenues with an abundance of music and movement - replete with drag queens. Drag queens are an integral part of the show, venerated for their beauty, and admired for their feathers, rhinestones, and resplendent costumery. The Torrevieja Carnival is an incredibly popular event, and the street performers will be severely outnumbered by their audience which will number in their tens of thousands. Visitors descend upon the city from across the Iberian peninsula and from all four corners of the earth during the public event, with spectators from Italy, France, China, Latin America, and the United States in regular attendance. This years celebrations centre around a social calendar of events organised by the Carnival Cultural Association of Torrevieja, in association with local businesses, city hall, and the Costa Blanca tourist board. The next event takes place this coming weekend with the 11th Torrevieja drag queen contest tomorrow, held at the International Auditorium from 9:00 pm. The party truly hits the streets later this month when the third "Carnavalera" day takes place in the city centre on Sunday 17th February, with a parade starting from Plaza de Oriente at midday. Three additional street parades will follow the Carnavalera, and the celebrations conclude with the great night parade on Saturday 2nd March from 7:00 pm along the entire length of Calle Ramón Gallud, terminating at Plaza Maria Asunción. Tickets for the events being held at the International Auditorium will cost €6.00 per person, and tickets are available from the Municipal theatre in Plaza Miguel Hernández or from the auditorium directly. The theatres' ticket office is open Monday to Friday from 6:00 pm to 8:00 pm. For more information about the Torrevieja Carnival just click here to visit the official website.